/ Modified apr 19, 2018 10:36 a.m.
Maloney's Tavern on Fourth Avenue. 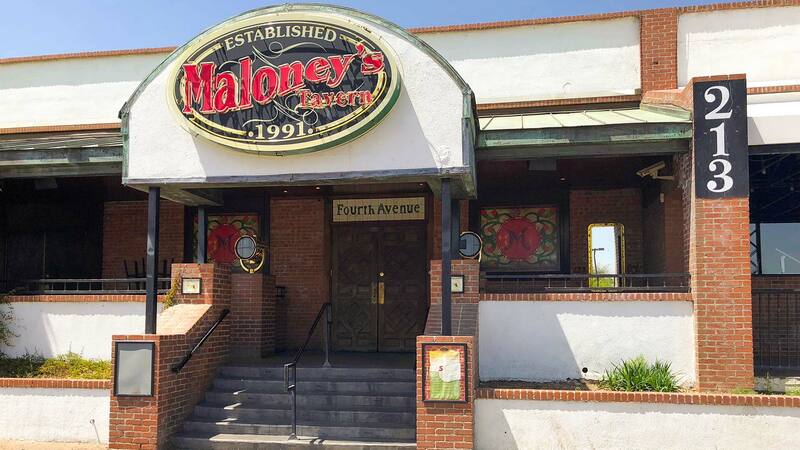 A property group on Fourth Avenue got approval from Tucson City Council tonight for a proposal that gives the go-ahead to demolish Maloney's Tavern and make plans to replace it with a building potentially reaching 14 stories. City Council members voted 5-0 to approve on the proposal. Mayor Jonathan Rothschild abstained from the vote because he serves on a nonprofit board with one of the developers. Council member Regina Romero was absent. 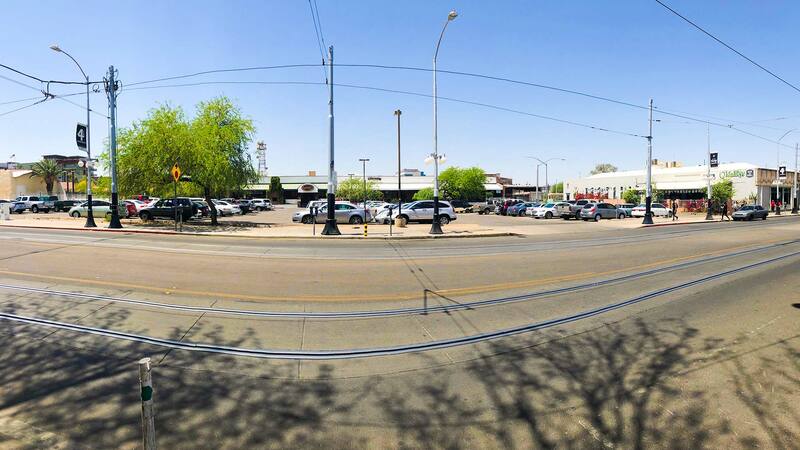 The group Partners on Fourth says it will contract the development of a residential building with a maximum height of 14 stories to replace the tavern on the southwest corner of Fourth Avenue, between 8th Street and Stevens Avenue. In addition, the plan outlines a mid-rise building with a maximum height of five stories that will host a ground-level parking garage. The garage will border two retail-use buildings — of two to three stories — that will stand where the parking lot currently is. Many of the local mom-and-pop shop owners are worried that corporate or chain stores will move in to the commercial buildings, according to DeeDee Koenen, owner of the store PopCycle and advocate with the Save Fourth Avenue Facebook page. VIEW LARGER The parking lot of Maloney's Tavern, the site of proposed commercial-use buildings. "It could be very detrimental to rent rates, which could then gentrify our neighborhood," Koenen said. City Councilman Steve Kozachik says the Partners on Forth are being very cooperative and will dedicate commercial space to local businesses. "I think over the long run this'll be good for the area merchants," said Kozachik, who represents the ward that includes Fourth Avenue. Koenen said the Save Fourth Avenue group is looking into community-benefit agreements to help mitigate some of the things like corporate businesses or sky-high buildings that Koenen says would negatively affect the street. The property owners, Partners on Fourth, can start the development-design process of the building without further approval from city council who approved the rezoning under many conditions. Commercial uses for the building exclude pawn shops, marijuana dispensaries, gun shops and drive-thru businesses, among other things. Excluding drive-thrus would mean businesses like Starbucks and McDonald's couldn't open locations there, said Frank Mascia, an architect with CDG Architects, a company collaborating with Partners on Fourth. "One of the values to that property is that its adjacent to Fourth Avenue, which is a remarkable asset to the community" Mascia said. "We would be fools to turn our back on that asset." The plan for demolishing Maloney's Tavern was already approved by the city of Tucson's Office of Integrated Planning — Historic Preservations Office, according to city records. Maloney's Tavern has been open for almost three decades and is known for its night-time atmosphere made up of three individual bars: Maloneys, the Warehouse and the Wreck. CORRECTION: A previous version of the story incorrectly characterized the next steps for owners and developers. They do not need further approval from the Tucson City Council to start the development-design process.